Mississauga-Brampton RFID | GAO RFID Inc.
From our head office in Toronto, GAO RFID has been consistently delivering RFID solutions to customers in the Mississauga-Brampton area. Situated west of Toronto, these cities are two of the most populous in all of Canada. With vibrant neighbourhoods and well-established transit networks: This region is an attractive option for families that want a community-like atmosphere close to Toronto — Canada’s largest city. Brampton and Mississauga are also attractive options for tourists because of their cheaper hotel rates and close proximity to Pearson International Airport. The region is home to a series of landmarks popular with tourists and locals alike. Brampton’s Powerade Centre has hosted a number of events, including political rallies featuring Prime Minister Justin Trudeau, Peel Region hockey tournaments, and international concert acts to name a few. Meanwhile, Brampton’s beautiful St. Paul’s United Church is a wonderful sight featuring stained glass windows and spectacular architectural design. In Mississauga, the Living Arts Centre serves as a cultural gathering place for the community. A short distance away, the Port Credit Lighthouse is a stark reminder of Mississauga’s marine heritage. When it comes to economic activity, North America’s most prominent companies maintain headquarters in the Brampton-Mississauga area. Some of the region’s most lucrative industries include pharmaceuticals, retail and advanced manufacturing. According to the City of Mississauga, more than 60 of the ‘Fortune 500’ companies have headquarters here. GAO’s expertise in RFID solutions has made our firm the preferred choice in this region. We are proud to have served a number of clients in Brampton and Mississauga. Below are some of the most popular solutions we have offered them. Keep track of your products by tagging each one with an RFID tag; receive alerts if they are removed from your retail space or stock area. Meanwhile, many of our retail clients are relying on GAO technology to replace the outdated barcode system. Barcodes rely on a ‘direct line of sight’, which means the scanner must be right in front of the printed barcode to read its data. RFID eliminates the need for this close proximity. GAO Readers can pull data from an RFID Tag even 100 metres away. When our Brampton-Mississauga clients implement this technology, they’re removing the need for human employees to scan inventory and assets. Making an investment in RFID will protect your bottom line — by dramatically cutting costs in associated areas. As mentioned earlier, more than 60 of the ‘Fortune 500’ companies have headquarters in Mississauga alone. Many of these headquarters house advanced manufacturing operations. Honeywell Aerospace, Laura Secord Chocolate Company and Kellogg’s Canada are among the economic giants with head offices here. Given the nature of these large, and often sprawling, facilities, it’s no surprise security is a top priority. 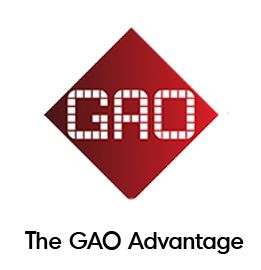 All of GAO’s systems can be integrated with our company’s other RFID products. Similarly, we can customize our solutions to fit your existing framework. If your business is thinking of improving its operations, consider GAO RFID. We are leaders in innovative technology and understand a variety of industry needs. From healthcare services to manufacturing construction, GAO is proud to serve a number of sectors. Brampton-Mississauga is undergoing rapid growth. If your business operates in this dynamic region, choose GAO RFID. 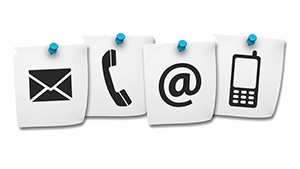 Our team of certified experts is eager to help your company reach its organizational goals.